When I was home this past week for the holidays, I drove by the place where I had my first job: the Cub Foods on Johnson Ferry Road in Atlanta (East Cobb), Georgia. Sadly, this store, like the other Cubs in Atlanta, is no longer open. However, the building -- still intact, and unchanged save for the signage -- is now used as a YMCA, which I think is a fairly interesting transformation. So -- have any stores near you undergone such transformations? Now, I'm not talking about swapping a Kroger for a Goodwill store (not to bash either one of them -- just what came to mind), but rather going from a grocery store to something non-retail. This was the first post in this thread. Isn't it more interesting to talk about unusual, non-retail conversions, per the original post? Sorry to be a pain, but this has gotten pretty far off the subject, in my opinion. Can we at least agree that a supermarket becoming a different supermaket is fairly commonplace? Dave wrote: Isn't it more interesting to talk about unusual, non-retail conversions, per the original post? Sorry to be a pain, but this has gotten pretty far off the subject, in my opinion. Can we at least agree that a supermarket becoming a different supermaket is fairly commonplace? Agreed 100%. That said, let's keep this limited to unusual NON-RETAIL conversions from here on rather than discussing everything we've ever seen a former supermarket turned into. To be honest, if we discussed every supermarket that had ever been turned into a drug store or auto parts store, we could go on forever (and wind up with nothing particularly interesting). Last edited by Groceteria on 07 Feb 2007 21:00, edited 1 time in total. * Former Kroger, Kentwood Village Mall, Grand Rapids, MI - This one has been non-retail uses twice. It was later a bowling alley. After the mall (which was a dud from the start) closed, the whole mall and ex-Kroger were converted to a JCPenney call center and a health center. 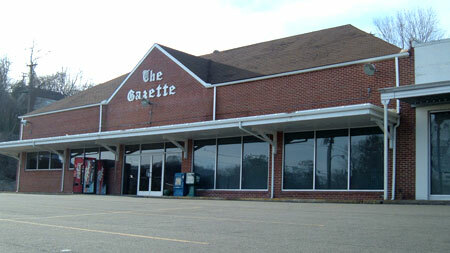 * Former IGA, 181 Erie, Rogers City, MI - Now a library. IGA moved across the street in the late 1970s and is still open. Strangely, there's also a (very tiny) IGA about three blocks down the road... that has continuously operated as IGA since the 1930s! Does conversion to restaurants count? TenPoundHammer wrote: ...Does conversion to restaurants count? In my mind, no. There are scads of older stores in Richmond that are now restuarants, mostly predating the supermarket era. There are some supermarket spaces that have been subdivided into smaller spaces that might include a restaurant - and those aren't really unusual. A 50,000 sf or larger store made into a single restuarant - now that would be unusual. Dave wrote: In my mind, no. There are scads of older stores in Richmond that are now restuarants, mostly predating the supermarket era. There are some supermarket spaces that have been subdivided into smaller spaces that might include a restaurant - and those aren't really unusual. A 50,000 sf or larger store made into a single restuarant - now that would be unusual. Agreed. The keyword here is unusual. Restaurants, thrift stores, hardware stores, drugstores, and other retail uses aren't at all uncommon. Even churches and offices and gyms aren't really very unusual. There are thousands of such conversions, and I don't think they really merit that much discussion in this particular topic. My doctor's office is in a shopping center that once housed a Woolworth's and many other stores. The doctor's office itself was a colonial A&P, albeit heavily remodeled. You can still see from the outside what it used to be. Here's a partially unusual use for a former grocery store in my area. Noticed yesterday in Banning CA, along the 10 fwy, a former Alpha Beta is now a County of Riverside office. That library will move to a new building in the next couple of years. I have no idea what will become of the former Safeway building. The second is a Planet Fitness (Barrow St.). The clerk at Planet Fitness said he remembers it had been a Bingo Hall and craft place for as long as he could remember before becoming a PF. There are equally if not more empty or abandoned old grocery store sites in the city. It is one of the best cities I have been to see old architecture for retail and grocery chains. The Safeway that now is a Planet Fitness in Abilene is next door to (actually is directly attached to) another retail relic of the past: one of the relatively few Drug Emporium stores which is still open despite that chain's bankruptcy and near-extinction back in 2003. I'm not exactly sure why the handful of current Drug Emporium stores survived, because the original Drug Emporium company (which started in Ohio) most definitely was dissolved with the 2003 bankruptcy. There are a few Drug Emporium stores today in West Virginia as well as the bunch in Texas and Louisiana. The Drug Emporium in Abilene was originally a TG&Y, then a Wal-Mart (I use this name instead of the current "Walmart" because the hyphenated name was in use at the time) from 1987 until around 1995 when a Supercenter replaced it. Then the store was briefly a Bud's Discount City, the short-lived 90's Wal-Mart clearance outlet concept. It seems the only real reason the Bud's concept existed was to fill the many vacancies left by Wal-Mart relocations during the first several years of Supercenter openings. A number of Bud's stores were in buildings that started out as Kuhn's Big K stores, bought by Wal-Mart in 1981, but which were later remodeled (and in some cases also expanded, but the Supercenter concept didn't yet exist) in the mid-late 80's to have the standard Wal-Mart facade design of the era, while keeping the brick columns on the rest of the exterior used by Kuhn's in the 60's and 70's. Big Lots today is at many ex-Kuhn's/Wal-Mart/Bud's sites, but I know of at least one location where Big Lots erased the Wal-Mart design from the facade but kept the Kuhn's brick columns. The Safeway that now is a Planet Fitness in Abilene is next door to (actually is directly attached to) another retail relic of the past: one of the relatively few Drug Emporium stores which is still open despite that chain's bankruptcy and near-extinction back in 2003. I'm not exactly sure why the handful of current Drug Emporium stores survived, because the original Drug Emporium company (which started in Ohio) most definitely was dissolved with the 2003 bankruptcy. There are a few Drug Emporium stores today in West Virginia as well as the bunch in Texas and Louisiana. This group of Drug Emporium stores stretches from Amarillo to Lafayette, LA, with stores also in Longview, Shreveport and Tyler, among others. This group of stores is actually owned by the Gibson family. And yes, THAT Gibson family. (more about that in a moment) They have survived because they purchased the rights to the DE name. Ephrata1966 wrote: They have The Drug Emporium in Abilene was originally a TG&Y, then a Wal-Mart (I use this name instead of the current "Walmart" because the hyphenated name was in use at the time) from 1987 until around 1995 when a Supercenter replaced it. Then the store was briefly a Bud's Discount City, the short-lived 90's Wal-Mart clearance outlet concept. No, this one was built by Herb Gibson himself for one of his 'barns', and one of the original ones at that. This store was a Gibson's Discount Center until that chain's demise, thus the reason it's Drug Emporium today; they own the real estate (as they do for the remainder of their locations). All but Longview and Tyler were originally Gibson's. The original Wal-Mart was out on US83 at Southwest Drive. Ephrata1966 wrote: It seems the only real reason the Bud's concept existed was to fill the many vacancies left by Wal-Mart relocations during the first several years of Supercenter openings. A number of Bud's stores were in buildings that started out as Kuhn's Big K stores, bought by Wal-Mart in 1981, but which were later remodeled (and in some cases also expanded, but the Supercenter concept didn't yet exist) in the mid-late 80's to have the standard Wal-Mart facade design of the era, while keeping the brick columns on the rest of the exterior used by Kuhn's in the 60's and 70's. Big Lots today is at many ex-Kuhn's/Wal-Mart/Bud's sites, but I know of at least one location where Big Lots erased the Wal-Mart design from the facade but kept the Kuhn's brick columns. This was the ONLY reason Bud's existed. They were trying to ride out the good real estate they had been so successful in. Unfortunately, Bud's was often trashed and didn't attract the best of crowds. They weren't carrying the best of merchandise either. The Kuhn's stores were often remodeled into Wal-Mart standards, and some survived past Wal-Mart in their original setup.